We all love fall decorating… it’s actually my favorite time of the year, next to the holidays! But honestly, the cutesy stuff gets a little old. I want good ‘ol celebration of the season! Harvest and nature, and the textures and smells and family togetherness – that’s all fall to me. Amen? Ok, good, then you’re on the right post! Here are our first 9 of our top 18 picks for classy fall decorating DIY projects that will fit right into your home, whether it’s large or small. We decided to break this post up into two parts, there was just so much to show you! Be sure to check back next week for Part 2! 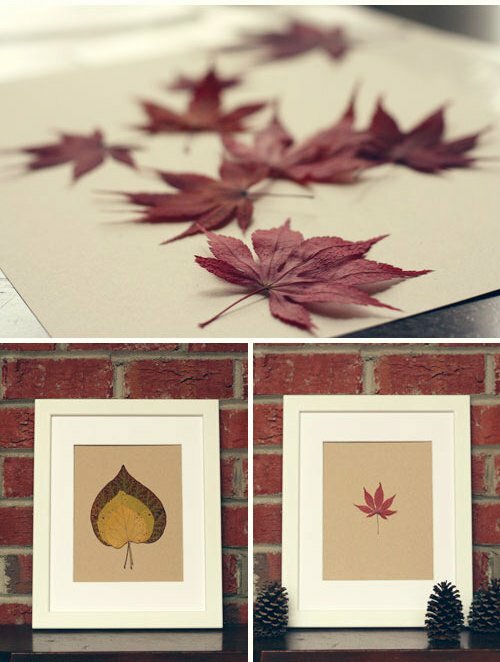 Our first fall decorating DIY, from ‘Pottery Barn‘, is the easiest and fastest one! 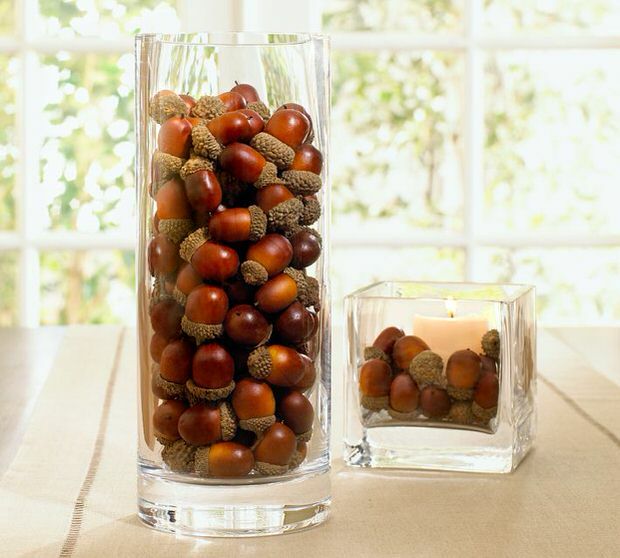 Gather seasonal nuts, acorns or seed pods, and use them to fill clear vases, with or without a votive candle. 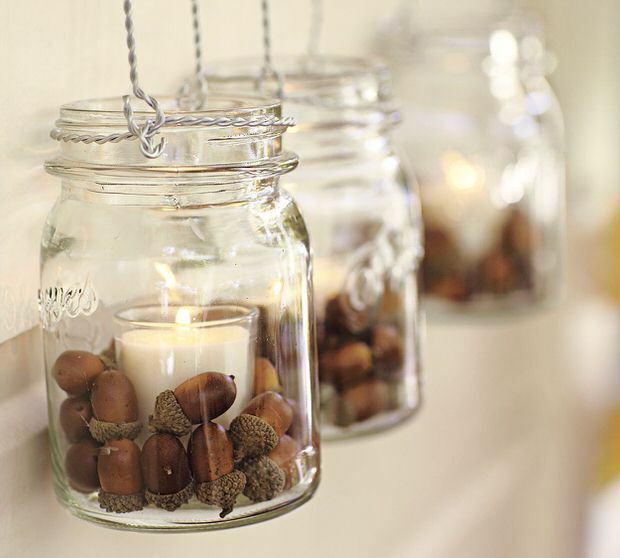 Another fall decorating idea using acorns, from Pinterest! Make an acorn “lantern” with votive candles like the last project, but use wire to create handles to hang them with. I would prefer to see the wire circle the glass jar below the threaded part on the mouth, to give it more to hold on to. 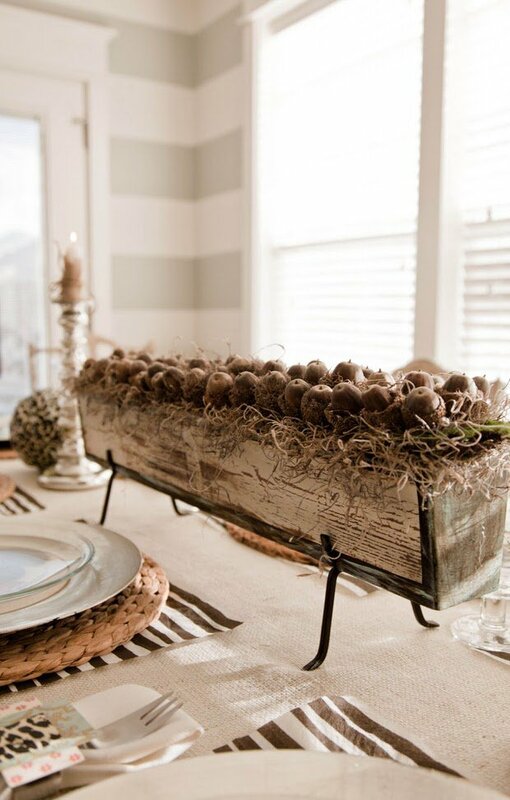 ‘The Quirky Sophisticate‘ recently created this fall centerpiece for a local TV show… old wood box, acorns, fall mosses (and, I would imagine, a glue gun? )… Simple…and AMAZING! 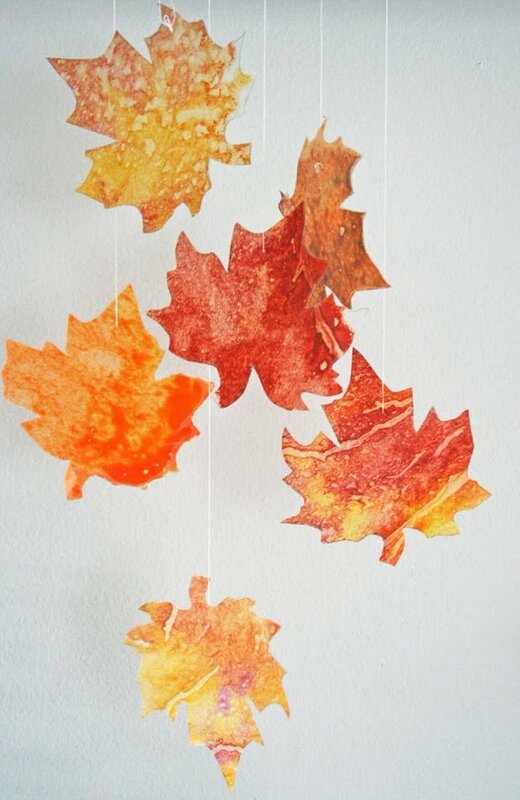 From Vanessa at ‘V and Co.’, these wax crayon fall leaves would be perfect in a fall decorating DIY tutorial we have planned at TBD… check out her post for all the instructions! Ok, I love this fall decorating DIY, even though it is cute! (Just the right amount of cute, I might add…) ‘Clean and Scentsible’ made these adorable pumpkin soaps, and the tutorial is really short, because it’s so easy! 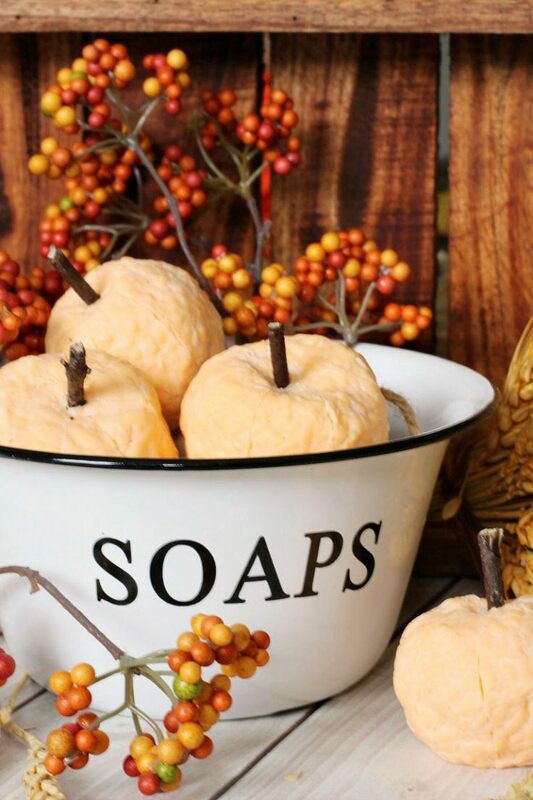 This would be great for the guest bath at Thanksgiving, or just to make it smell amazing all season! 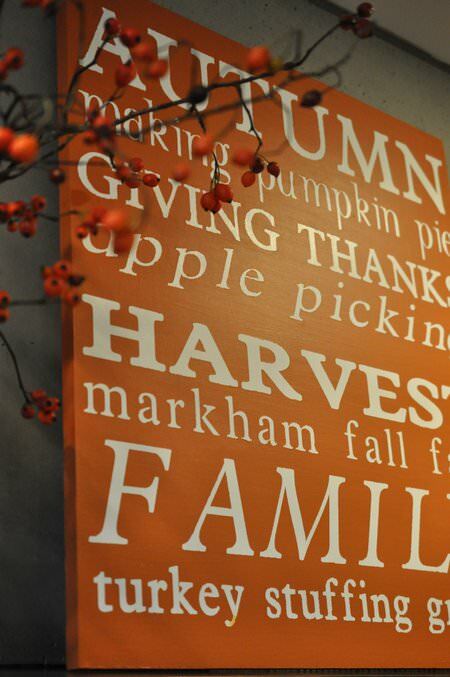 Our last pick for Part One of our Classy Fall Decorating DIY post is from ‘Cleverly Inspired‘. 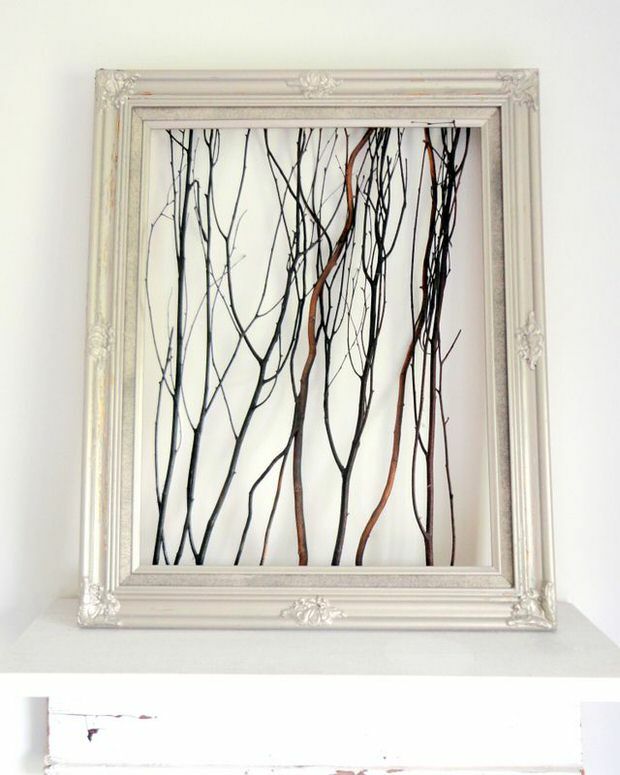 Her twig art is easy, looks very cool without being cutesy, and cost only $2 to make! Very clear tutorial. What if you made this using a larger frame for a focal art piece? I’m off to thrift for frames! Be sure to check back with us next week for Part Two! 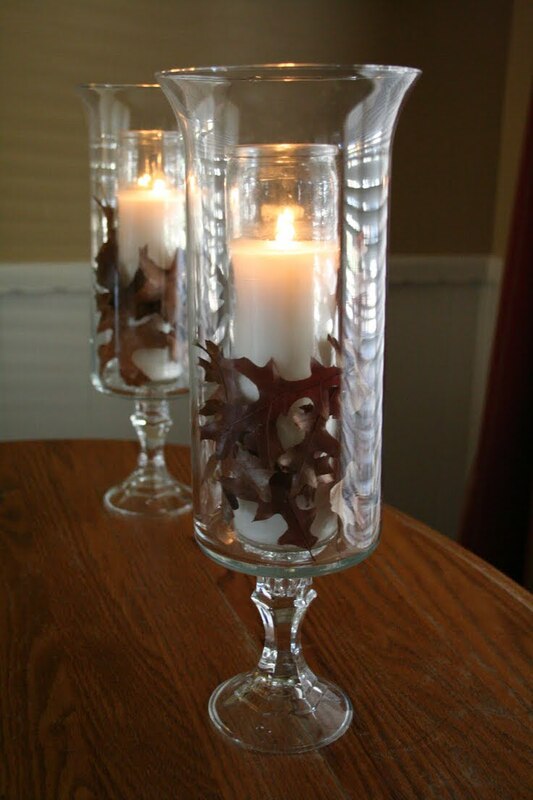 Go to 10 Classy Fall Decorating DIY Projects Part 2! ! Great fall round-up! Thanks so much for including my pumpkin soaps! Hi Jenn! I love your soaps! Made me want to take a day off and just do fun fall things around the house!